I'm the first to admit that Spanish Islands never feature in my list of travel targets as I tend to, rightly or wrongly, associate them with drunk British tourists and family holidays. I know this means I'm missing out on all the history and culture that lies beneath the surface, so I thought I'd check out to historic city of Palma in Mallorca and see what sights it had to offer. 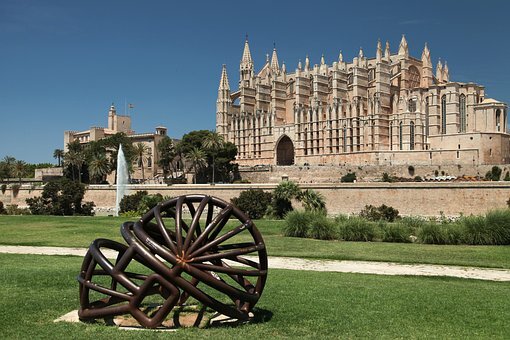 This Gothic Roman Catholic gem sits in the centre of Palma's historic old town and has taken pride of place since the early 1600s, looking out over the Mediterranean sea and the popular Parque de la Mar. Gaudi was famously asked to assist with restoration project but resigned his position after a fall out with in 1914, before many of his ideas were put into place. One of the only changes made was the addition of a large canopy, which remains in place today. This public space is popular with tourists and locals alike and was created from reclaimed land on the coast in front of the impressive La Seu. The park flourishes with the beautiful Med backdrop and boasts a huge fountain and artificial sea lake, as well as cafes, bars and an auditorium. In the summer, the space is used to events and concerts, as well as an open-air cinema that projects movies on to a floating screen positioned in the lake. If you're prone to a bit of shopping, or just want to chill out in Palma's exclusive boutique-lined street, then the city's head 'Golden Mile' is a must see location. With Prada, Vuitton, Hugo Boss and Zara, to name a few, you can flex your credit card and enjoy a coffee (or something stronger) at one of the many neighbourhood cafes and bars. The street was once renamed in honour of General Franco, but the change didn't take and it has always remained as 'the Born'. 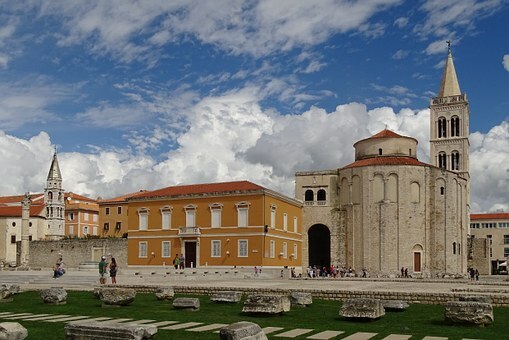 This 13th Century Franciscan monastery and basilica stands in the square of the same name and is a huge sandstone structure, housing the remains of Ramon Llull, who was a Spanish mystic who met a messy (and painful) death when he was stoned for trying to convert Muslims. That'll teach him, I suppose. Anyway, the church is magnificent and the cloisters and tree lined courtyard are incredible. You will need a ticket to enter, but you can pick one up there. If you have time to see the structure lit up at night, it's well worth the trip back after closing. Sitting opposite Palma's Cathedral is this impressive Palace, which has Moorish and Gothic influences and now acts as the headquarters for the military. Although no longer used as an actual palace, the King of Spain (obvs...) still uses the building to host formal gatherings, so you can rest assured that it's not a bad spot. If it takes your fancy, you can visit the Royal Apartments while you're there. You know, just to see how they compare to your own home, and there's also a charming restaurant and coffee shop on site for taking a break from all the sightseeing. Do you have any other must see places in Palma to add to the list?